University of North Carolina System Board of Governors vote to approve ECSU’s newest degree program, Homeland Security, during their meeting in Chapel Hill Friday, Nov. 9. The University of North Carolina Board of Governors just gave the green light for Elizabeth City State University to move forward with its proposed Bachelor of Science in Homeland Security degree program. ECSU will be the first four-year public institution in North Carolina, to offer a four-year Homeland Security undergraduate program. The program was first proposed to the ECSU Board of Trustees earlier in 2018. 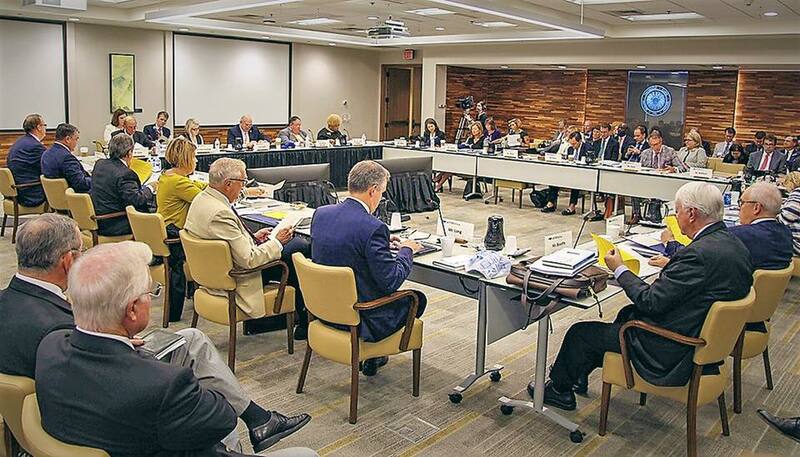 The board approved the program, moving it to the UNC Board of Governors for approval. 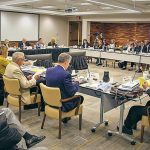 With the Board of Governors approving the landmark program, the proposal will now move to the university accrediting agency, SACSCOC, and the U.S. Department of Education for final approval. According to ECSU Interim Chancellor, Dr. Karrie Dixon, once it completes the final approval process, a start date will be determined for the Homeland Security program. The Homeland Security program would prepare students for careers in law enforcement, security, intelligence gathering, criminal investigations, and more. The program is designed to be provided both on campus, and online. Students will learn about the role of intelligence and the impact of policy in securing the country from threats and natural disasters. Upon completion of the program, students will have a broad understanding of issues such as global politics, security issues, economics, and domestic and terrorist organizations.